This is as Close as I will ever come to exhibiting at ‘Tate Modern’. The tower in the top left is the tower/chimney of ‘Tate modern’. 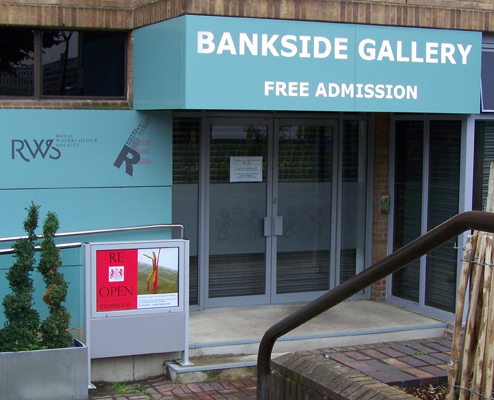 ‘Bankside Gallery’ is right next door. Thank you for entering the RE OPEN exhibition 2012. 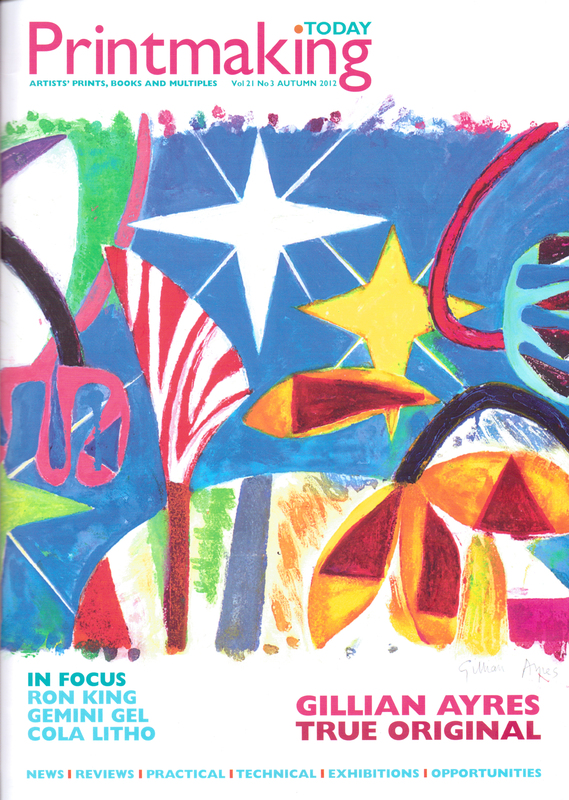 The exhibition received submissions from 729 artists; just over 100 international artists and the rest from the UK. 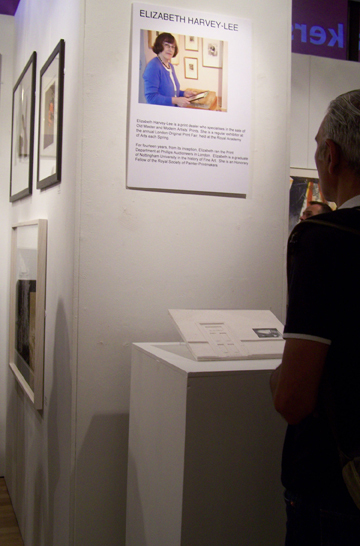 With each artist submitting up to 6 works, the selectors had the difficult task of making their selection from more than three thousand entries. 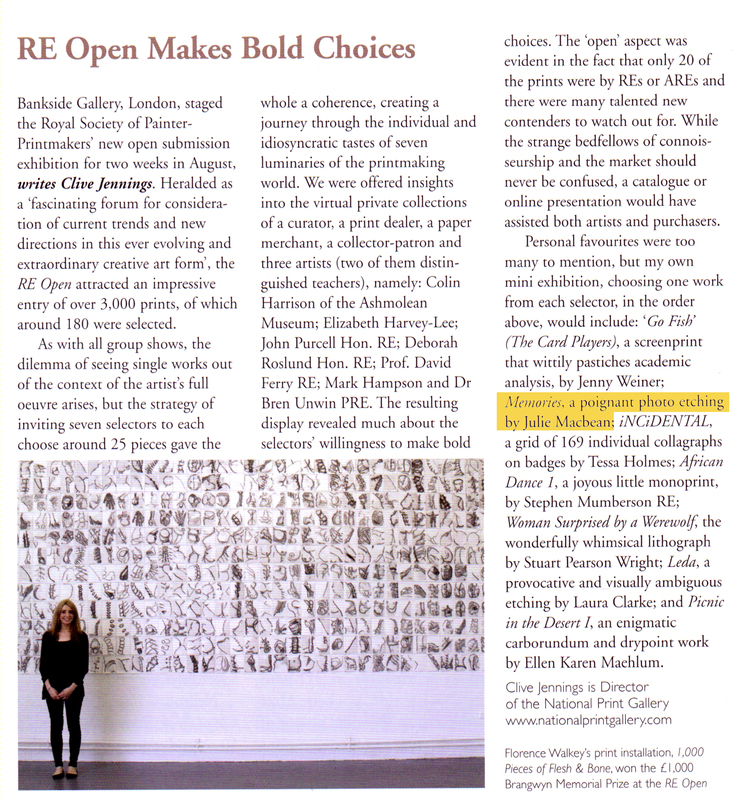 We are delighted to inform you that at least one of your works has been selected for the RE OPEN exhibition. 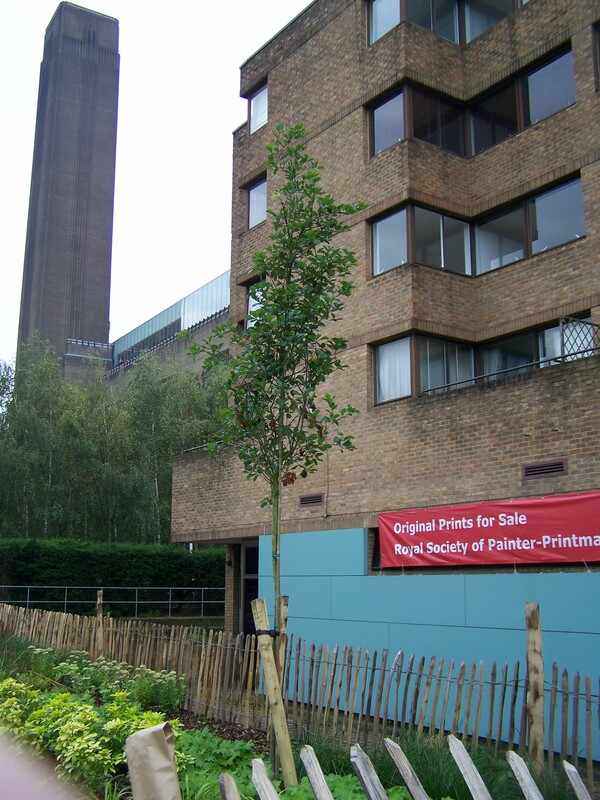 We will contact you again shortly with the details of which work(s) have been chosen and to confirm instructions for delivering your work in an exhibition-ready state to the Bankside gallery. Many congratulations on having your work selected from such a strong submission! A nice article in the Autumn edition of the ‘Printmaking Today’ Magazine. 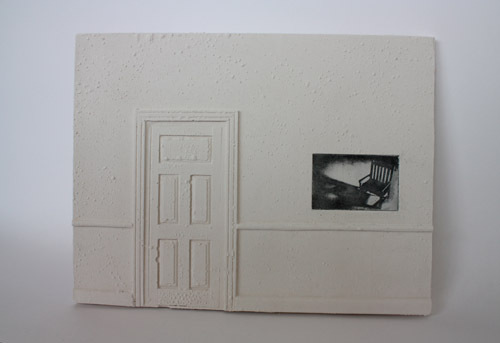 The director of the ‘National Print Gallery’ ‘Clive Jennings’, picked my work out as one of his favourites.